Letting a property that is fully furnished can be really advantageous. The majority of tenants are looking for a home that already has all of the essentials and furnished properties tend to come off the market a lot quicker. While buying all of the furniture for a property may seem expensive, it is a long-term investment. A home that is kitted out with stylish items will be more attractive to potential tenants, will allow you to charge higher rents and make a greater return on your investment. Read on to find out about some of the most important things you need to consider. When purchasing furniture for a rental property, trying to find a middle ground is key. Overly cheap products are likely to break easily and could deter potential renters. However, it’s important not to overspend as well. There is a good chance you’ll need to replace items every few years and this could be very costly if you choose products that are too high end. Ideally, you want items that are sturdy and can withstand a bit of wear and tear. They should also be relatively easy to keep clean. For example, sofas with washable covers are always a good option. If possible, try to buy furniture that is easy to repaint once it starts to look old and tired. This could save you the expense of having to get replacements. Of course, in certain parts of the country, hiring pieces is another great way to furnish the house, and if you’re looking for furniture hire in London, this is a great idea. Rental properties must be fully compliant with fire regulations and this extends to furniture. All soft furnishings such as sofas, mattresses and cushions have to be fire-retardant and display the appropriate label. It is against the law to sell products that don’t comply, so any new furniture you buy should be fine. However, be careful when purchasing old or second-hand items as they may not meet the regulations. Failing to comply with fire legislation is a criminal offence and could lead to a hefty fine and even a prison sentence, as well as legal action from your tenants. Choosing the right colour scheme for your property is crucial, as it has the potential to make or break a tenant’s opinion. The safest option is to go for neutral shades that won’t run the risk of putting someone off. Some of the best options are light yellows, pale beiges and off whites. Try to use a consistent colour scheme throughout the house, except for the bathroom where white is generally the best choice. Selecting the right flooring for a rental home is largely dependant on the type of property. For the lower end of the market, cheap carpets that can be replaced every few years are normally a good option. High-end properties warrant a little more investment and better quality carpets that can be professionally cleaned when dirty are normally worthwhile. Laminate flooring is a good choice for communal areas, but the majority of people prefer carpets in the bedroom. However, avoid carpets in the bathroom, as soft surfaces and water don’t tend to mix well. When letting a furnished property it is important to ensure you are fully protected by the right insurance policy. Contents insurance for landlords will cover the cost of repairing or replacing any of your items in the property and will provide some welcome peace of mind. Totally agree – colours all the way when it comes to accessories as magnolia can be pretty soul destroying! hi, great article, i work for a property development firm and the amount of lettings with no design or care for decoration is shocking. if only post like this had more exposure. Nice post! All of this are the aspects needed in a rental property. I would also like to add planning how to place furniture is needed so that there are no wasted efforts if there’s something wrong in their placements. Today, every person want a well furnished apartment, with all the facilities. It is pretty obviously that well furnished flat or apartment automatically means higher profit returns. I have an apartment which i want to rent out. After reading your post now I will be able to furnish my apartment, according to my own terms and budget! Furnishing an apartment is not that difficult, but it can be pretty messy. Well, it totally depends on you and your budget. I read your post, it is quite imforamtive. You have explained all the necessary points in your post in a very tactfull manner. Keep up the good work!!! Thanks for sharing this post Jen. I think that in order for us to gain more money we have to invest more money also. If furnishing an apartment is expensive, well you can also make the rent higher to return the investment. More people will be willing to rent if they know the apartment is worth every penny they will pay. I really interested this post. Thanks for sharing….. Fantastic tips on how to dress your rental property. Dressing a property can really make all the difference! You have got to have photos taken once a property is well presented. Would you use featured wall with wall paper or not? What is latest interior fashion? Great work indeed!! !this is a perfect article correct information,really very effective and love to implement your words in my blog.your thought is clear and perfect for this blog.A big thanks to you for sharing such a eye catching post with us. Colors and flooring are really important in furnishing your apartment. Great post and thank you for sharing. While choosing any accommodation, one must follow all these points. Also keeping within a budget is important when you are preparing for any rental property. Keep searching can help you work out the amount of paint required for the job and can compare the different costs of different paint options. This question has been perplexing landlords from long time. The answer lies between two competing objectives: maximising income, whilst minimising effort and costs. 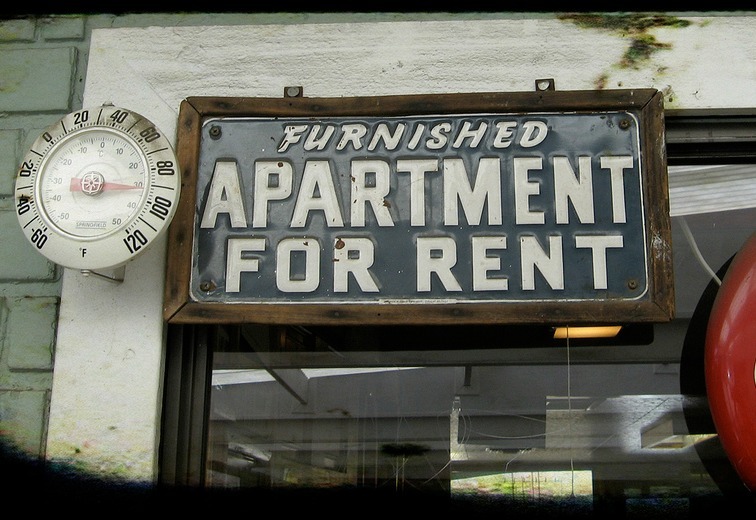 Providing furniture will undoubtedly increase the rent a landlord should achieve on a rental property . Good advice especially about the safety aspects, I think the days of filling out properties with old fashioned secondhand furniture are long gone (well at least for decent landlords)! It is good news for tenants helping them to choose between a good lanlord who puts time and effort into his properties or a bad landlord who doesn’t care. This article is really useful! We’re an estate agent and a lettings agent in Redditch, Worcestershire and so many of our tenants have concerns about decorating their rental properties – I’m sure they’ll find this incredibly useful!